Engeny completed detailed flood mapping for Banyule City Council’s entire municipality. With the exception of rear of allotment drainage, every pipe and inlet across the municipality was modelled. This work includes the production of 5 year and 100 year ARI flood extent for each catchment and the development of concept level mitigation options to address flood risk for existing conditions. Banyule City Council also engaged Engeny to develop a Special Building Overlay (SBO) which will assist Council’s management of development in flood prone areas of the municipality. The intention of the Banyule Council SBO was to only include areas of critical flooding and key flow paths where there is significant flood risk. 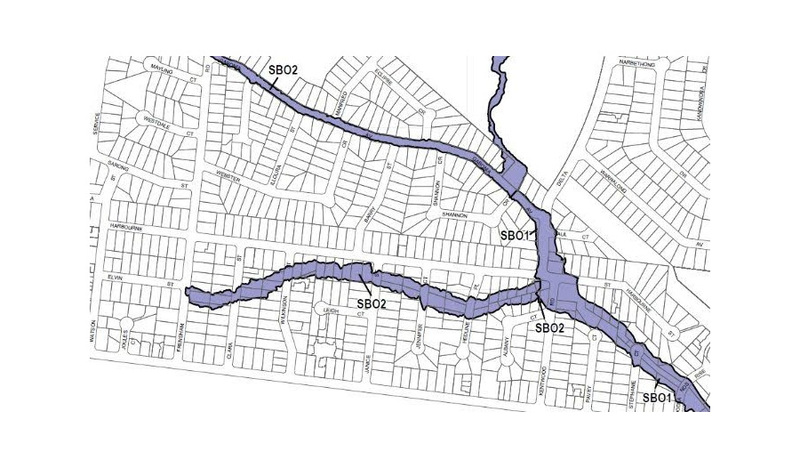 In consultation with Banyule City Council, Engeny developed criteria that identified where the SBO should be implemented based on the flood risk of the flow path, in terms of 100 year ARI flood depth and velocities. Engeny supported the City of Banyule in the exhibition and panel approval of the SBO. During the SBO exhibition period Engeny undertook assessments of written submissions and on site verification. Engeny then provided an expert report and Andrew Prout provided expert evidence at the Panel Hearing. The Planning Panel has recommended that the SBO be adopted as presented by the City of Banyule and Engeny.